A multi-national research team has developed a rapid DNA identification method to help customs inspectors detect illegally traded wildlife products, beginning with sharks. The DNA testing protocol, published last month, detects nine of 12 commonly traded shark species quickly enough to enable officials to determine whether a shipment requires further inspection. These sharks have small mouths and sensing organs in their broad heads to find stingrays and other prey buried in the sand. They are considered endangered and are one of 12 shark species listed on CITES’ Appendix II, which restricts trade in their meat, oil, and fins. A pelagic thresher shark (Alopias pelagicus), another CITES Appendix II-listed shark species, in the Philippines. The long tail is said to be used as weapon to slap and stun fish, making them easy prey. Image by Rafn Ingi Finnsson via Flickr, CC BY-NC-SA 2.0. The researchers focused on sharks because they are threatened by illegal killing and trafficking, but implementing trade laws on the ground has challenged customs officials. The 12 species are listed under Appendix II of the Convention on International Trade in Endangered Species (CITES), meaning trade in products from these species requires certification that specimens were caught legally and that trade does not harm the survival of the species. 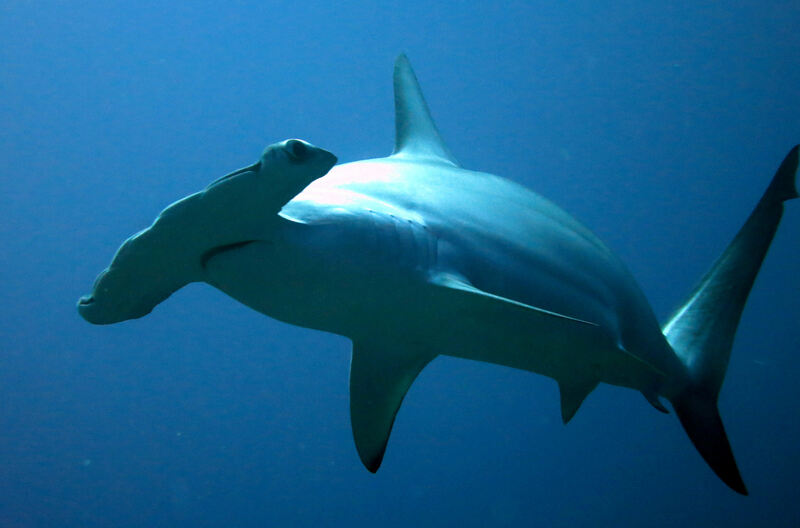 The 12 species, which include hammerhead, thresher, porbeagle, and great white sharks, are threatened in large part by the killing of massive numbers of them mainly for their fins, but also for meat and other products. A scalloped hammerhead shark (Sphyrna lewini) eyes a diver near Jarvis Island in the Pacific. 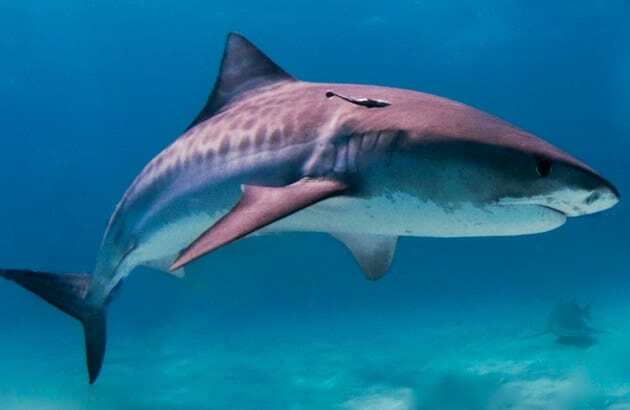 For these and other species, limiting trade to levels lower than birth/survival rates enables populations to persist and is therefore a priority for shark conservation. The researchers, fromFlorida International University,Stony Brook University, and the Paris- and Hong Kong-basedBloom Association, suggested in their paper that their protocol could be used on site to help customs inspectors more effectively thwart the illegal trade in shark products and enable their countries to comply with the requirements of CITES and avoid potential trade sanctions. Shark products are often traded in high volumes, which customs officials must process quickly, often within 24 hours, the researchers noted in their paper. The largest obstacle to routine screening of shark products, they added, was the cost and time needed to process the large shipment volumes typical of the shark trade, including distinguishing between products from listed (threatened) species and those from unrestricted species. 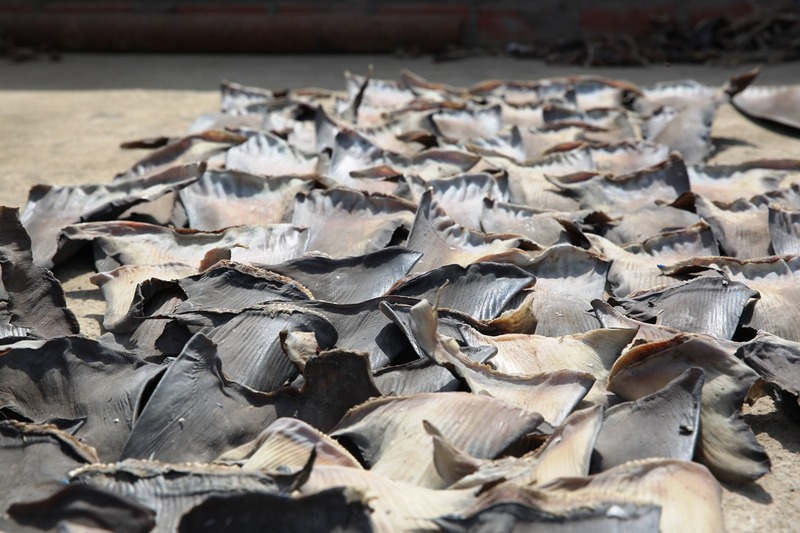 Shark fins drying on the rooftop of a trader in Peru. Some 100 million sharks are killed each year for their fins. Image by Diego Cardeñosa., Stony Brook University. 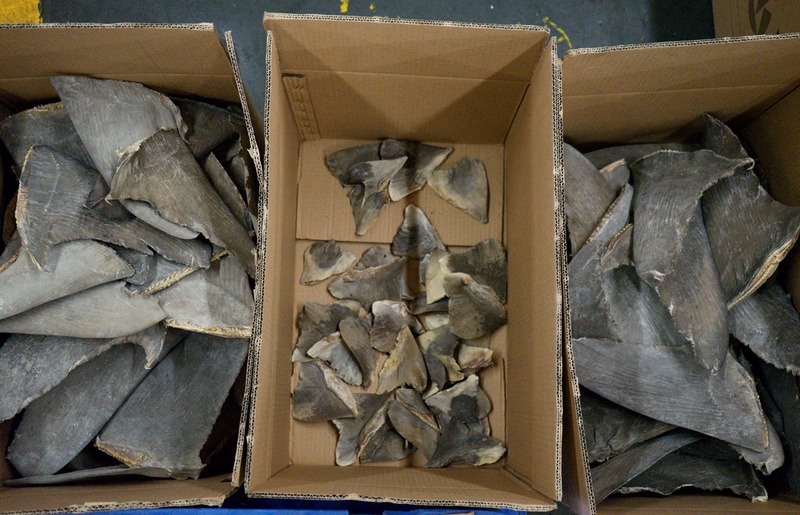 Customs staff in many countries lack capacity to distinguish legally from illegally traded shark parts quickly enough to process large shipments, so they must let them pass through. “With the exception of some unprocessed fins, many shark products can be challenging to visually identify down to the species level,” said lead author Diego Cardeñosa, a Ph.D. candidate at Stony Brook University’s School of Marine and Atmospheric Sciences. Reliable wildlife forensics tools, including DNA barcoding and PCR-based species-specific assays, can identify species from traded products. However, using these tools typically requires transferring tissue samples to a lab and processing the samples by isolating, sequencing, and barcoding the DNA or using available species-specific PCR tests. Scalloped and smooth hammerhead, and oceanic whitetip shark fins confiscated by Hong Kong authorities. Image by Diego Cardeñosa, Stony Brook University. The newly developed test can detect the presence of nine of the 12 listed shark species in a single analysis. It doesn’t determine which of the species are present, only that the shipment illegally contains at least one CITES-listed species, which is sufficient to justify holding a shipment for more detailed, species-specific analysis. 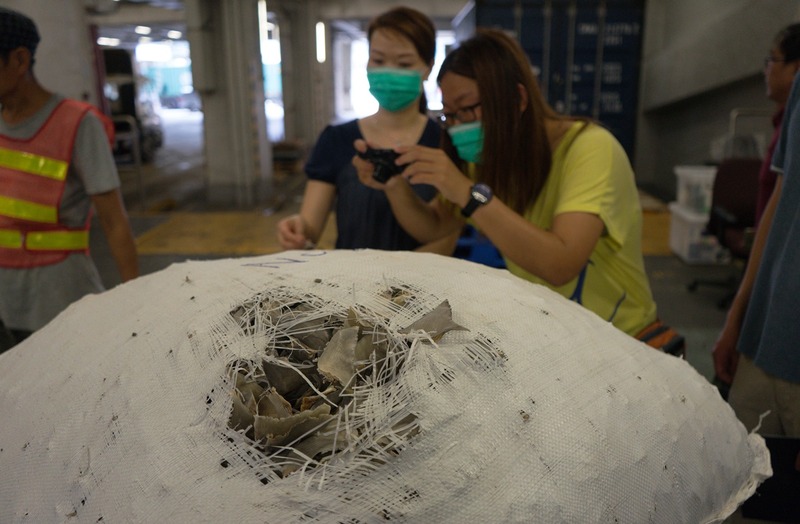 A bag of small shark fins arrives at the Hong Kong customs area. Image by Diego Cardeñosa, Stony Brook University. The test can be carried out by customs officials on site, though they need tohave at least one voucher DNA sample from a CITES-listed shark species, Cardeñosa said. The protocol uses small pieces of DNA, called primers, as a base for replicating a particular DNA sequence from one of the target shark species. It then amplifies, or makes millions of copies, of the sequence so tests can detect the sequence of interest. 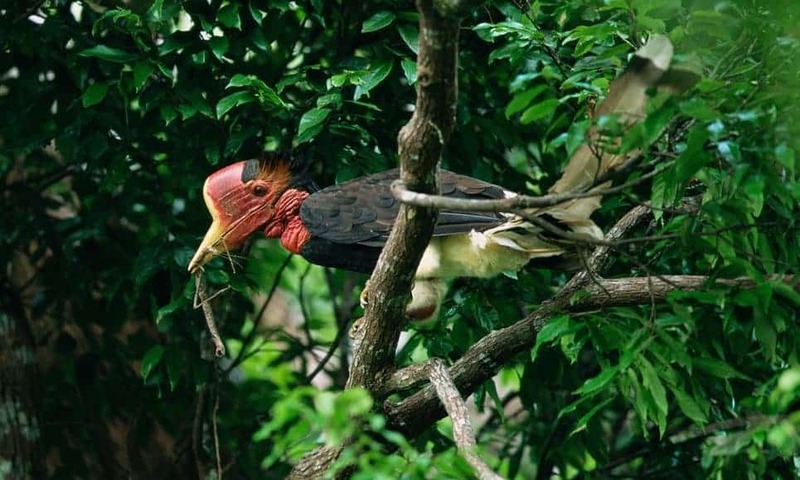 Using well-tested primers for the various listed species that would not be confused with other, non-restricted species, they created a single multiplex PCR, which detected nine of the 12 CITES-listed species without the reference database needed for barcoding or internet access, Cardeñosa said. A mobile DNA toolkit unit deployed at the container inspection facilities in Hong Kong. Image by Diego Cardeñosa, Stony Brook University. Analyzing multiple species in one analysis, the researchers noted in their paper, made this new method “to our knowledge, the fastest molecular protocol to date to detect the majority of CITES-listed shark species” that were commonly traded for their fins. The researchers tested the protocol on samples of processed shark fin collected from retail markets in Hong Kong, a major shark trading hub. DNA samples degrade with processing, making these products more difficult to identify genetically as well as visually. They compared the results of the PCR analysis to results from barcoding and visual inspections by local officials. 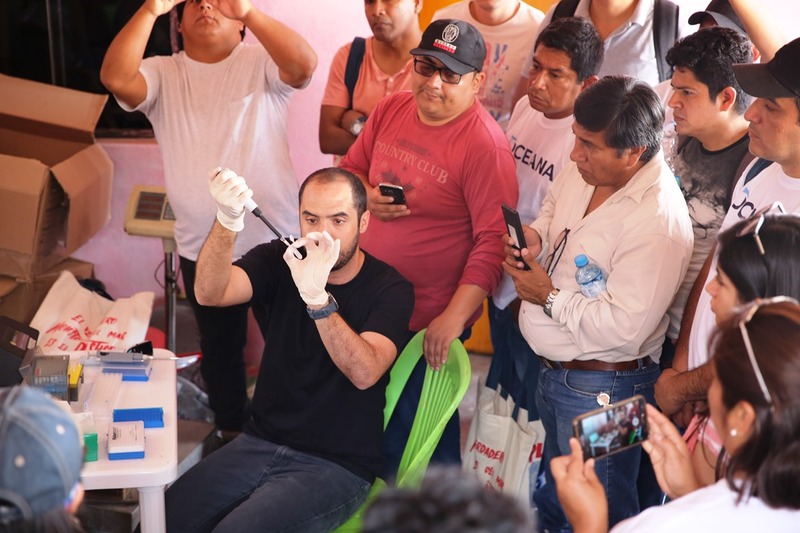 Lead researcher Diego Cardeñosa showing authorities in Peru how to use new DNA Toolkit. Image courtesy of Alejandra Watanabe, OCEANA Peru. The real-time PCR multiplex did not produce any false positives (detecting presence of species that were not there), which the researchers suggest is likely given the extensive testing of the primers they used. They had one false negative: when they tested their tool on processed shark fin samples, it didn’t recognize the DNA of the bigeye thresher shark. Although the tool does not detect basking and whale sharks, fins of these larger Appendix II-listed sharks are infrequently traded and are more easily detected visually. Cardeñosa, D., Quinlan, J., Shea, K. H., & Chapman, D. D. (2018). 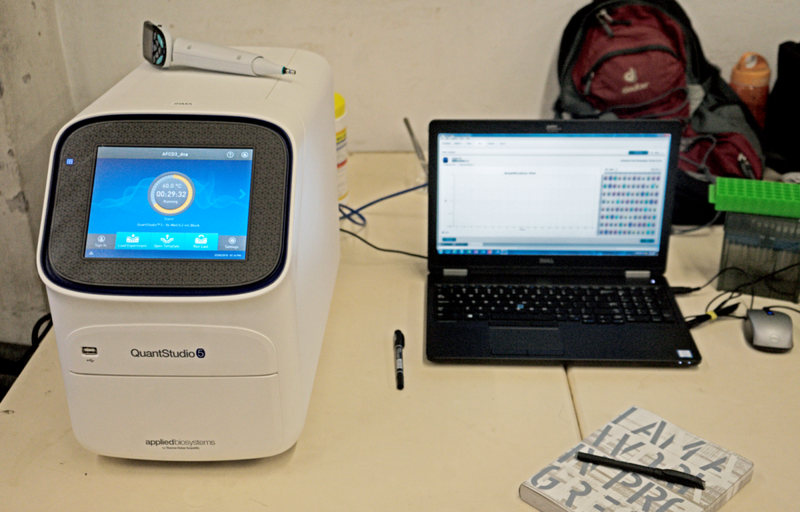 Multiplex real-time PCR assay to detect illegal trade of CITES-listed shark species. Scientific reports, 8(1), 16313. This article by Sue Palminteri was first published by Mongabay.com on 21 Dec 2018. 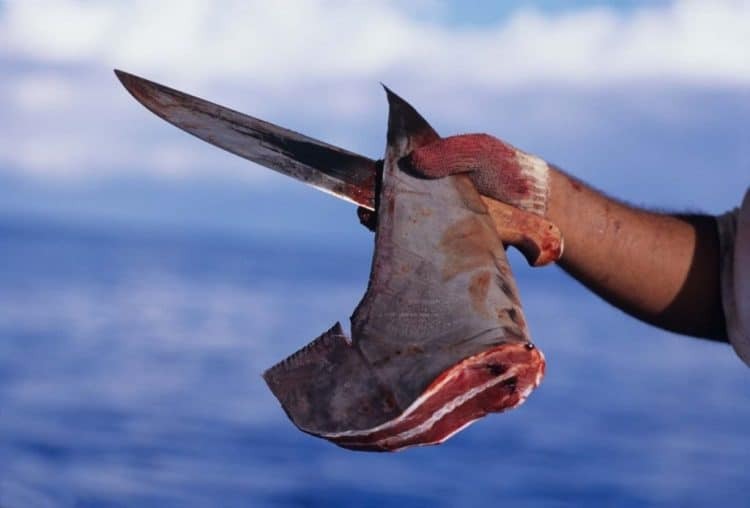 POLL: Should the importing of shark fins be banned? When DNA let’s you down.